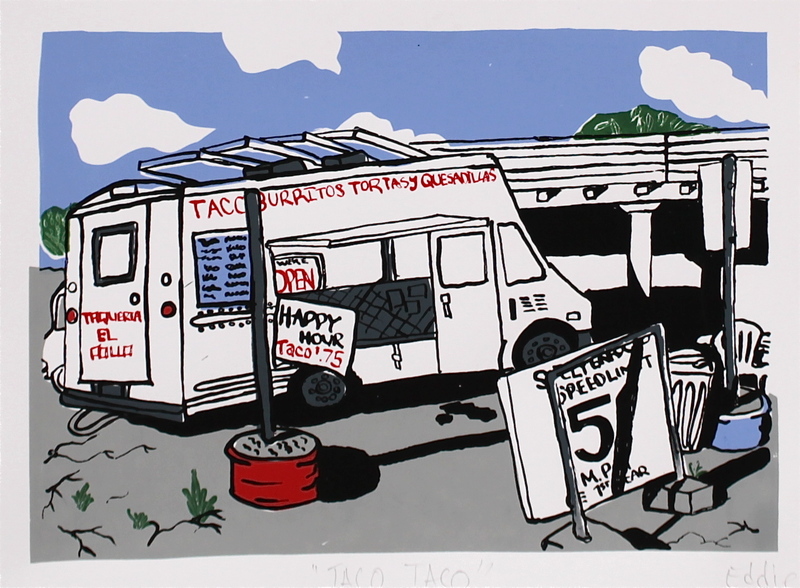 TANA is pleased to feature two Southwest printmaking collectives, Horned Toad Prints from El Paso, Texas, and YayBig Prints from Tucson, Arizona. 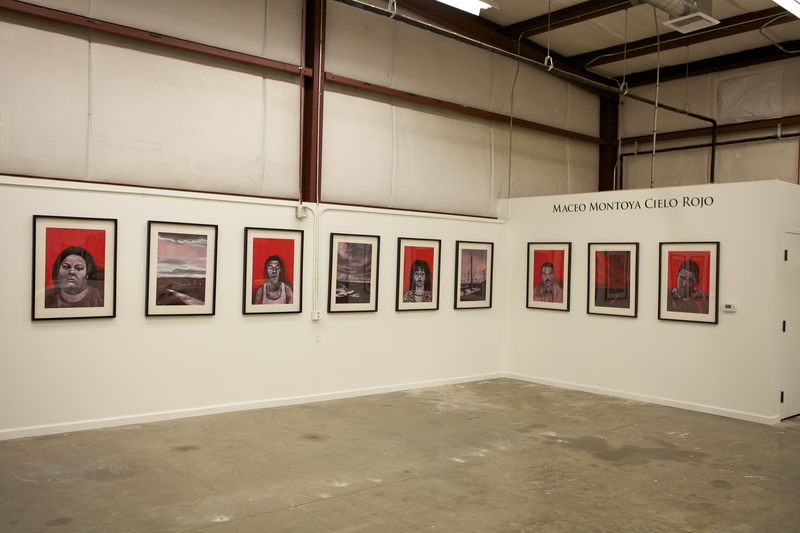 Last year, TANA artists Malaquias Montoya and Maceo Montoya participated in the 2014 International Print Exchange, which has traveled from Mexico across the Southwest and now California. 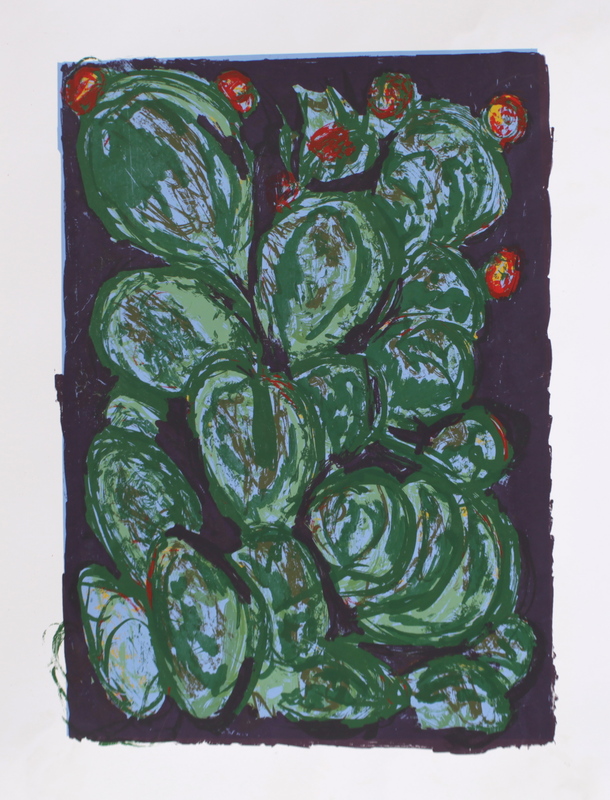 Featuring over 50 artists working in a variety of printmaking mediums including intaglio, lithography, relief, and serigraphy, all three print workshops celebrate the communal aspect of printmaking: creating multiples to share, distribute, and exchange. 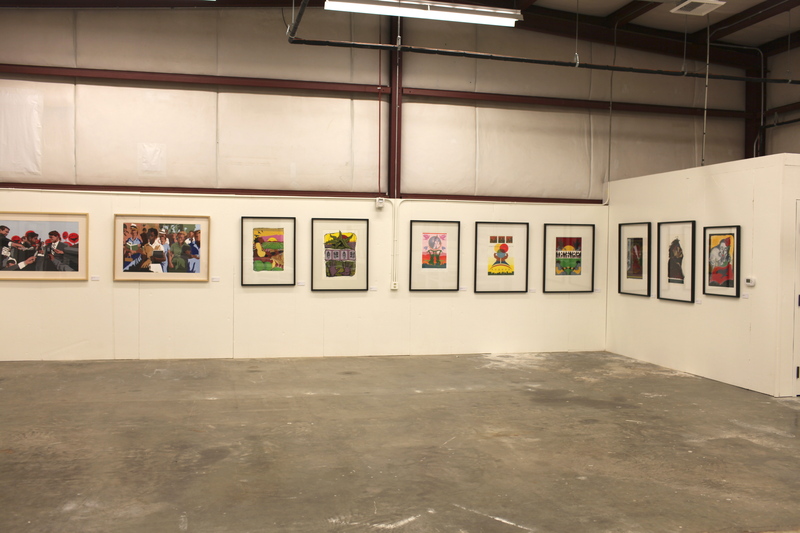 A special thanks to Manuel Guerra of Horned Toad Prints and Karl Whitaker of YayBig Prints. 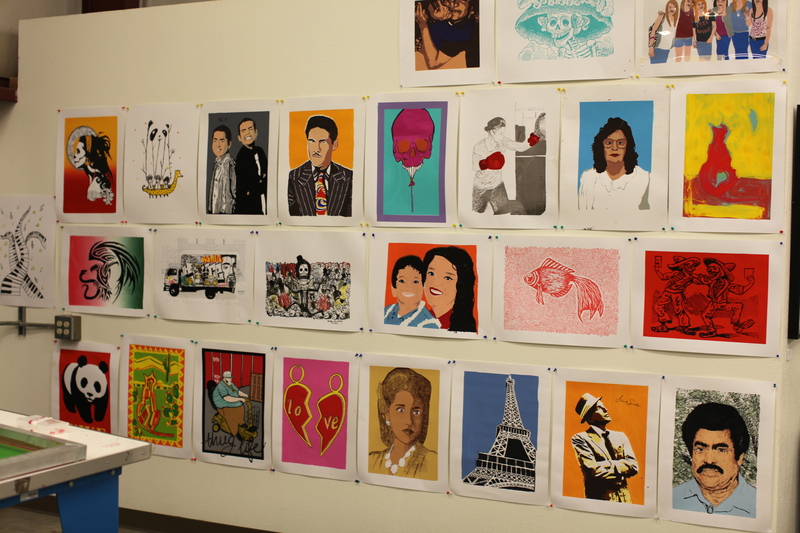 When the framed prints arrived at TANA in early May, TANA artists were inspired to create their own 8” x 10” silkscreen prints. 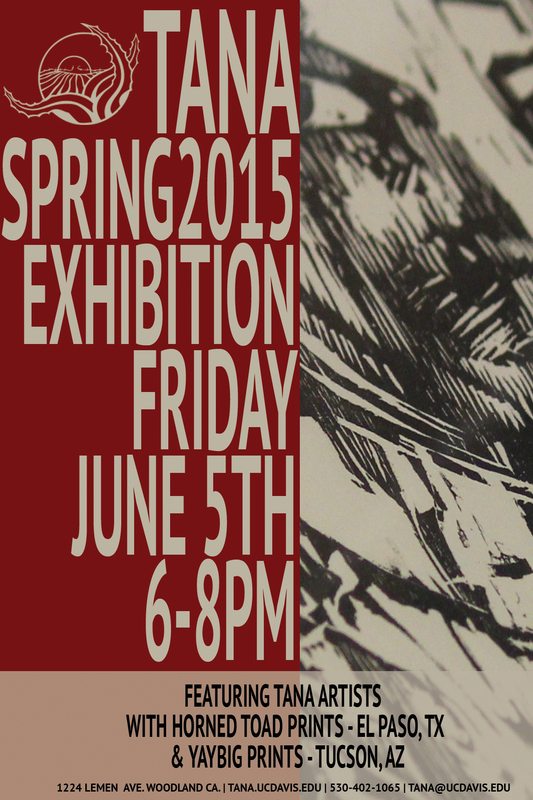 We’re excited to exhibit these for the first time and look forward to participating in future print collaborations. 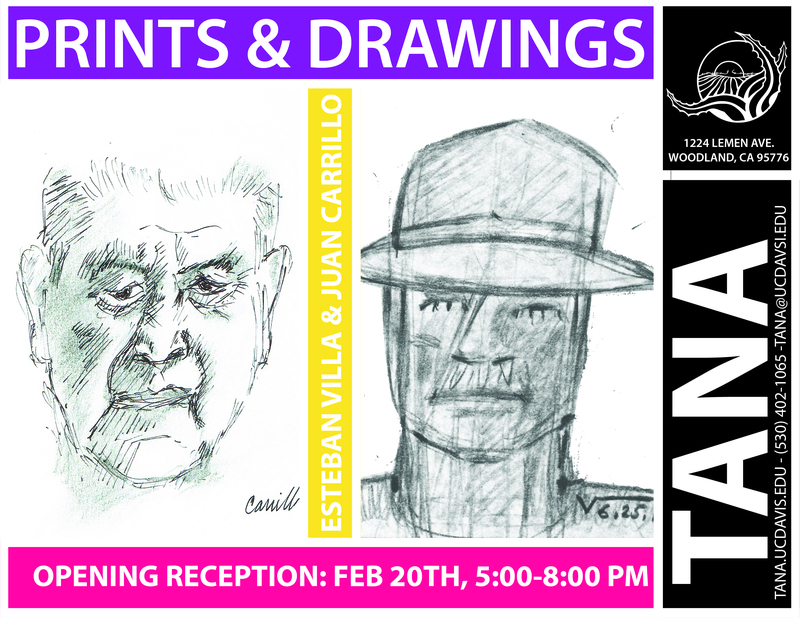 TANA is pleased to announce its first exhibition of 2015 featuring prints and drawings by Juan Carrillo and Esteban Villa. 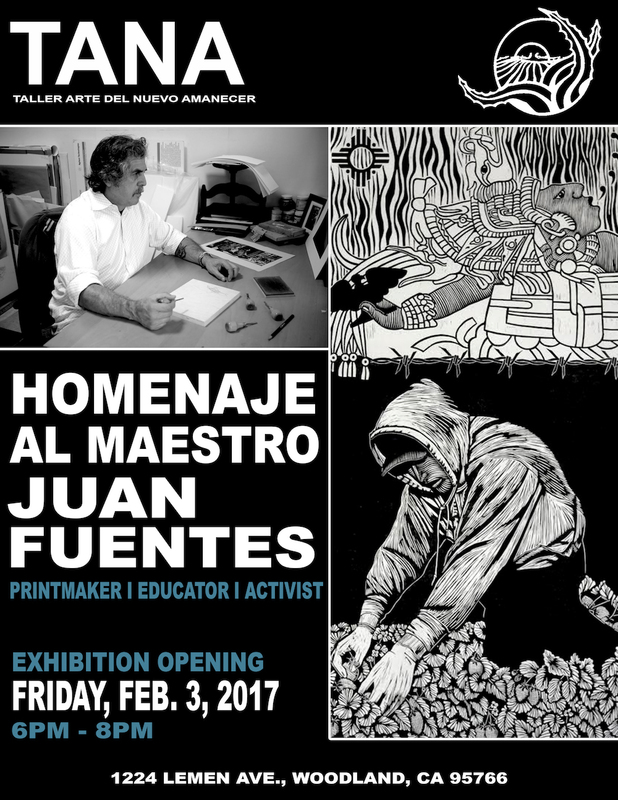 For the past three years Juan Carrillo has worked at TANA to produce a portfolio of screenprints based on the life of his mother. 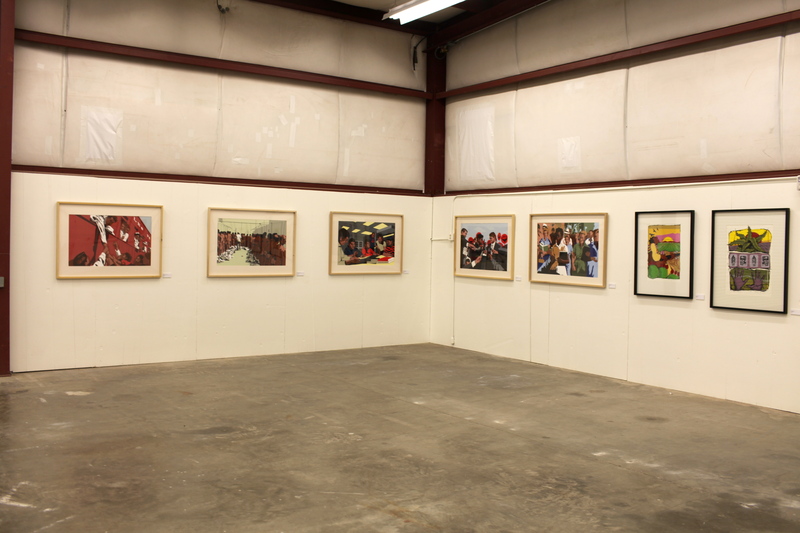 He has now collaborated with TANA staff to organize this special two-person exhibition. 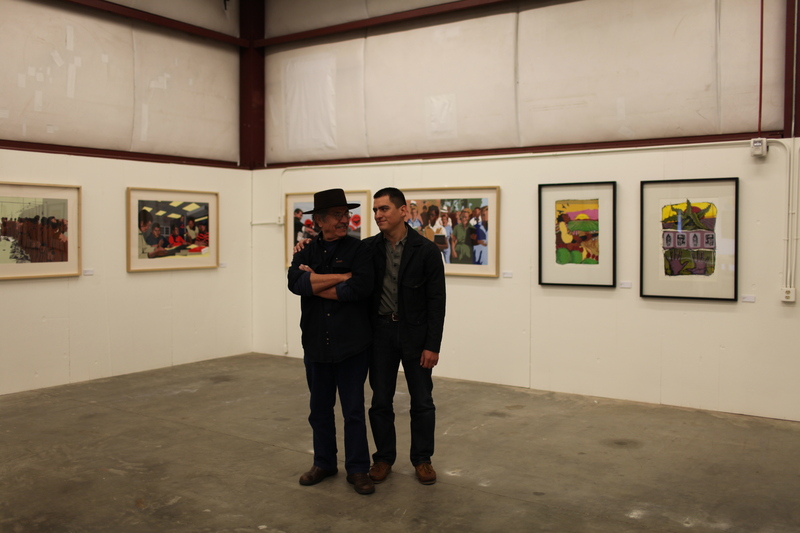 Juan Carrillo is an artist, activist, organizer, and arts administrator who has served the state and the greater Sacramento region for decades. 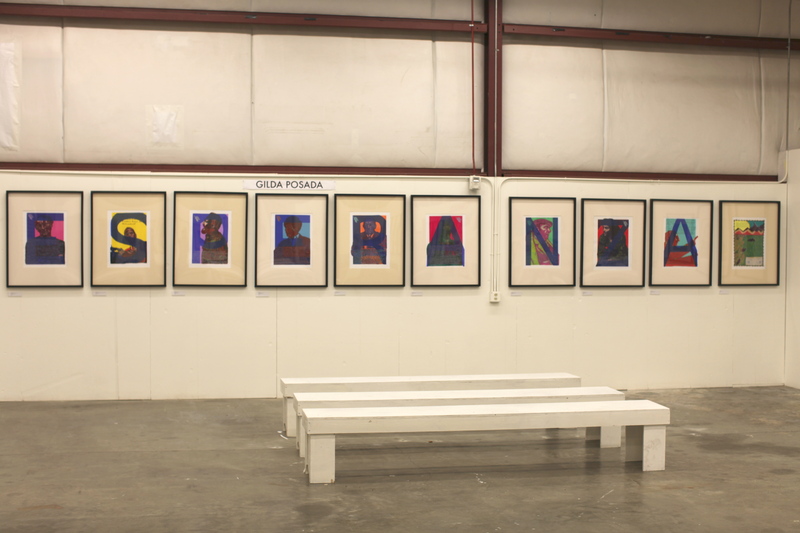 Carrillo, a longtime member of the Royal Chicano Air Force, was an early contributor to the seminal 1960s Chicano Journal, El Grito. 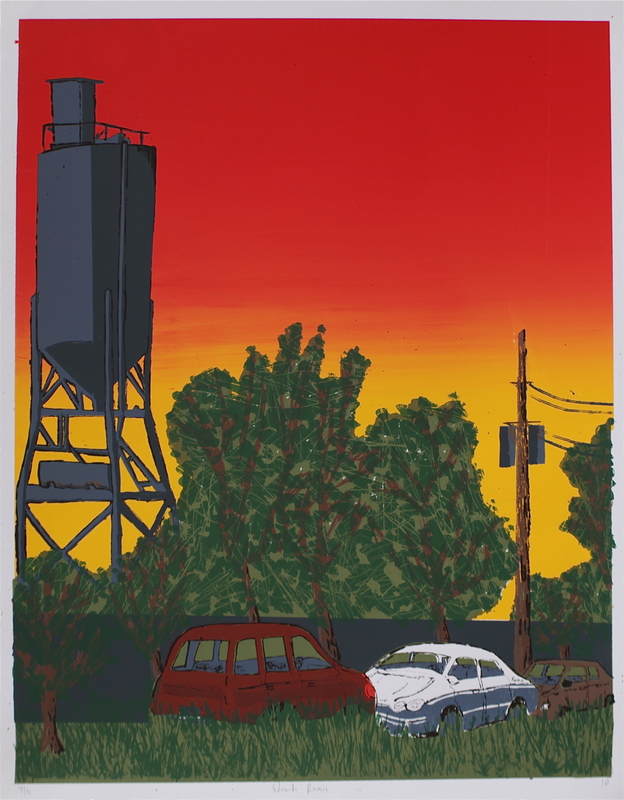 He retired as Deputy Director of the California Arts Council and has since concentrated on personal work. 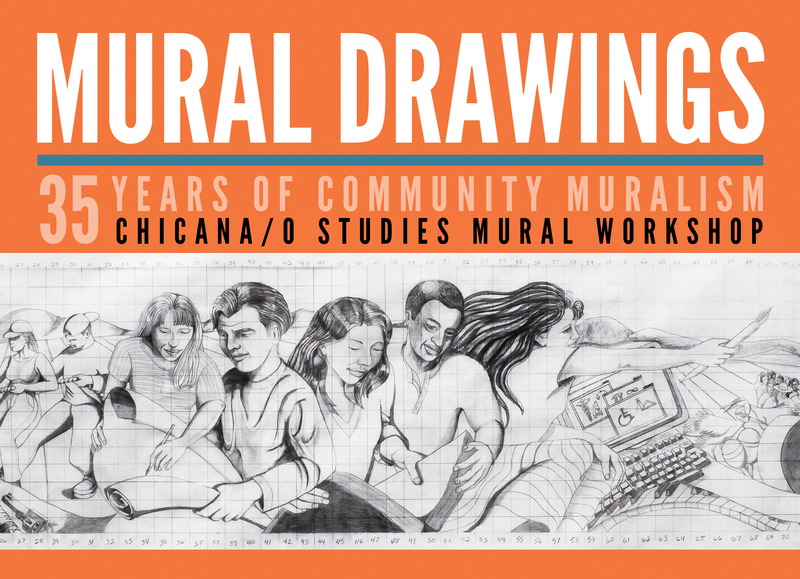 Esteban Villa, professor emeritus at California State University, Sacramento, was a co-founder of the Royal Chicano Air Force and an early Chicano activist who contributed drawings to many 1960s Chicano newspapers and publications, including El Plan de Santa Barbara. 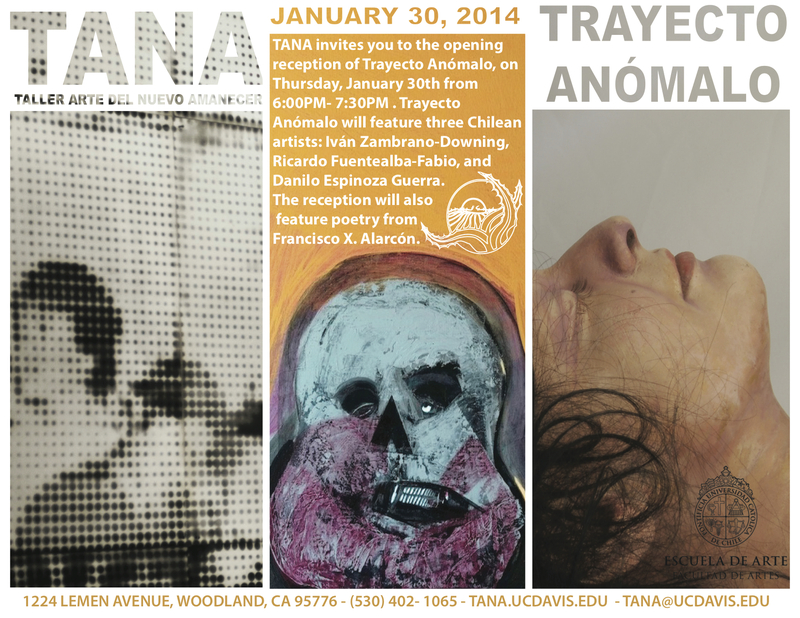 This exhibition will feature past and recent work created by Carrillo and Villa and will launch the 2015 year of programming at TANA. 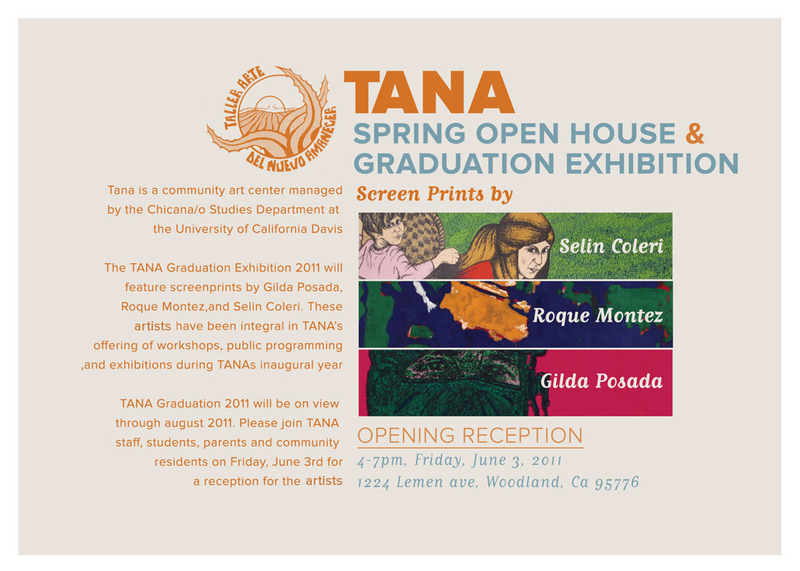 This special event will serve as an informational opportunity for those interested in participating in TANA’s 2015 community screenprinting workshops. 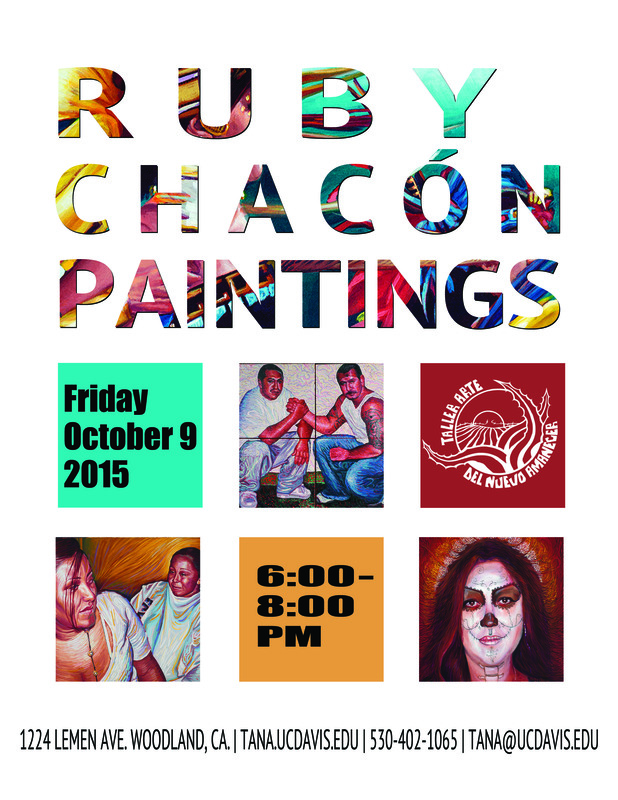 We hope that you will join us in celebrating an evening of food, music and art. The event is free and open to all. 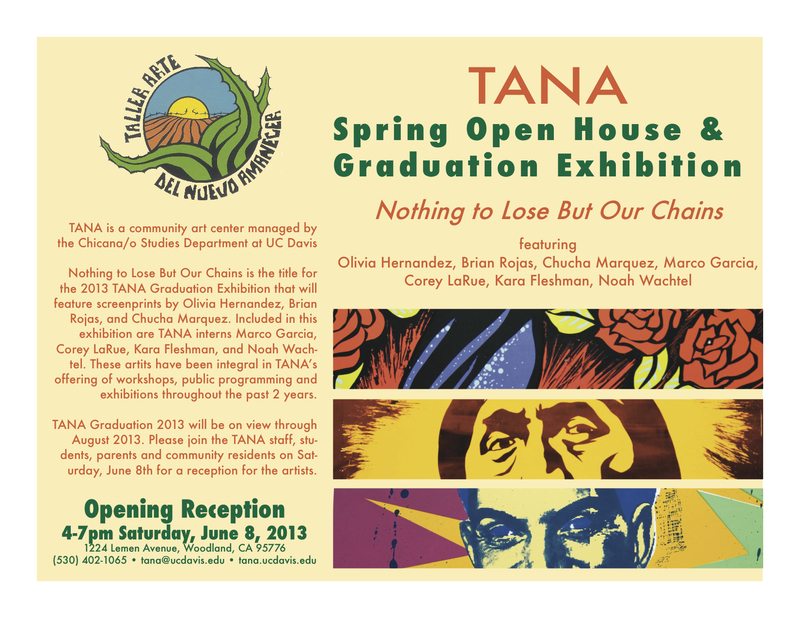 On Friday June 6th TANA will be hosting the annual TANA Graduation Exhibition featuring the work of three local community youth who have participated in TANA’s quarterly workshops: Eddie Lampkin, Andrew Ruiz, and Devika Sen. Eddie has been working with TANA since 2008, on a few community mural projects that were conducted in the run-up to TANA’s opening and from the very first day of it’s opening has been a participant in the workshops. 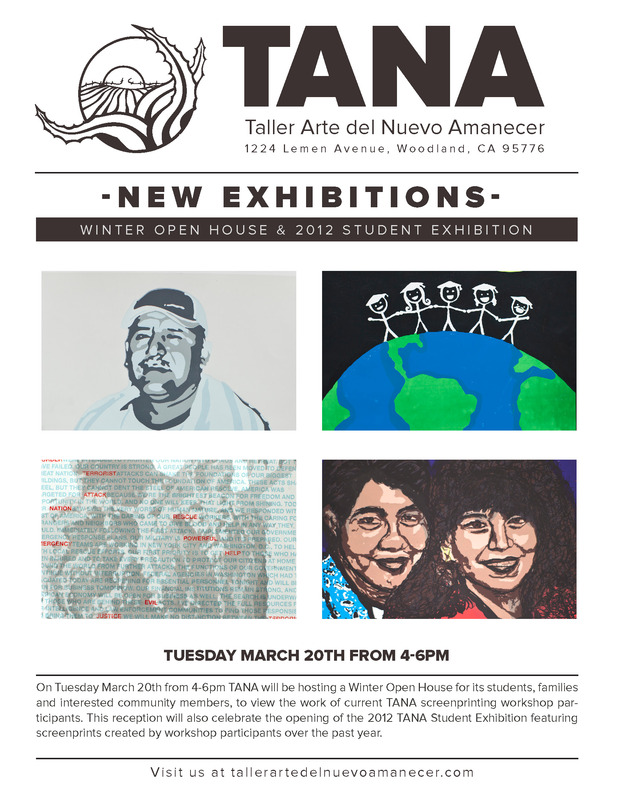 Andrew Ruiz has been working at TANA for the past four years since he was a freshman at WHS and is now graduating with a scholarship to attend the California College of the Arts. Devika has been working at TANA for two years and is going to be attending Pratt in the Fall. 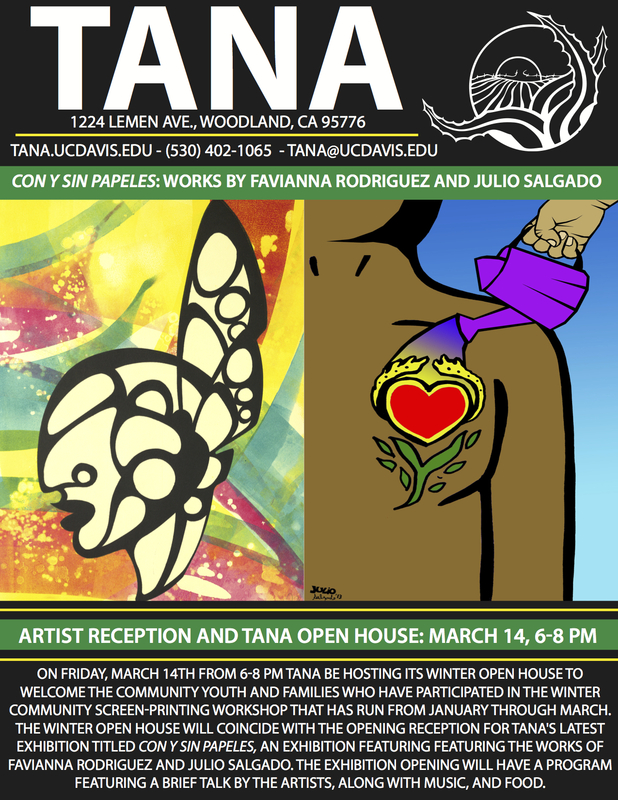 This is a special evening that will coincide with the TANA Spring Open House featuring the artwork of community youth and members who have participated in the past Spring workshop session. 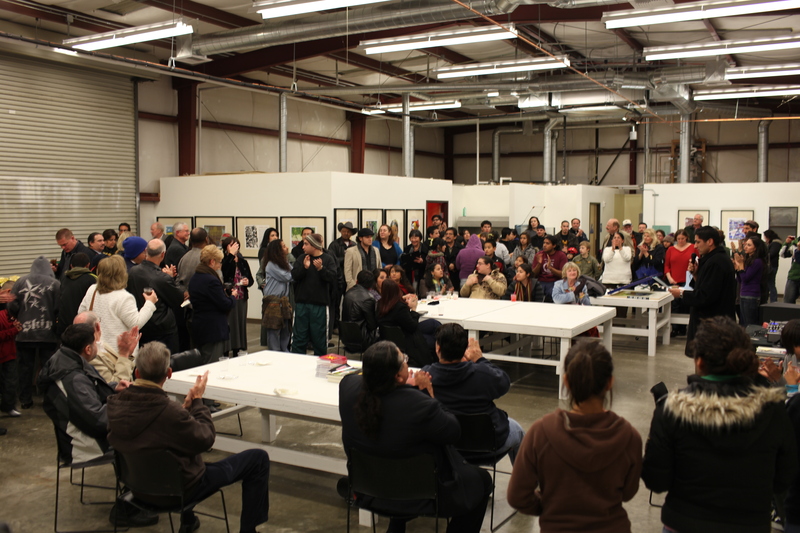 We hope that you will consider joining us in celebrating the accomplishments of our TANA participants in a night full of food, music and danza by Kalpulli Telpochkalli. 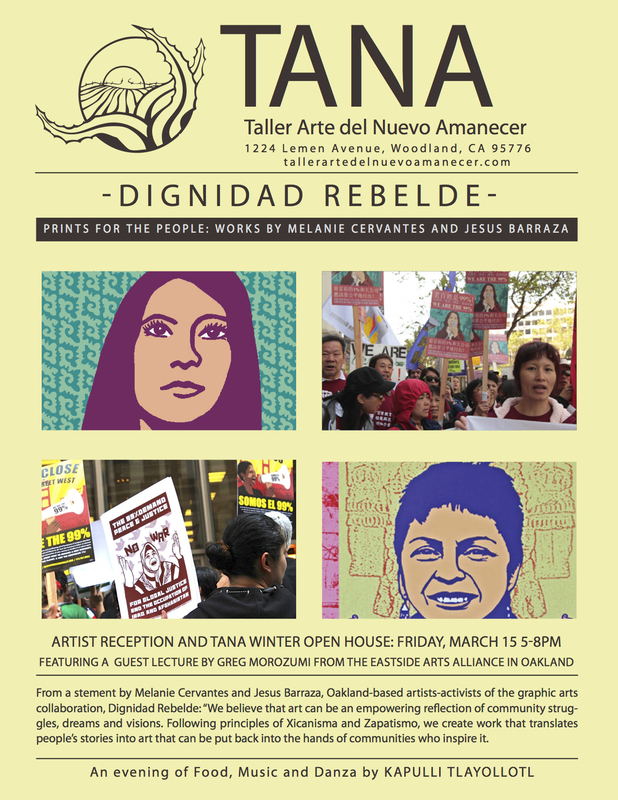 Please join TANA on March 15th for an evening featuring artwork from the TANA Winter Workshop and Dignidad Rebelde: Prints for the People, along with a guest lecture by Greg Morozumi of the Eastside Arts Alliance and Danza by KAPULLI TLAYOLLOTL. 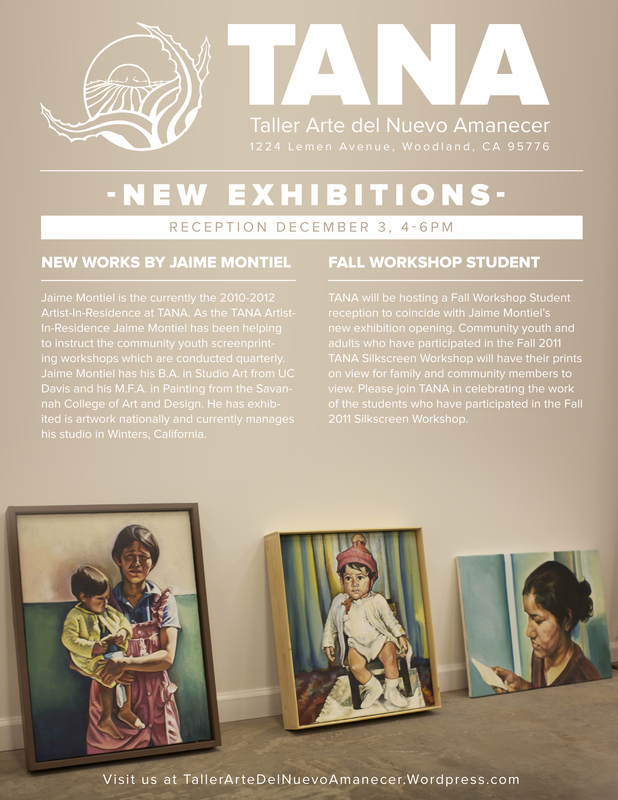 We cordially invite you to attend TANA’s Fall Open House and the opening reception for our new exhibition which features the paintings and prints of Jaime Montiel, TANA’s 2010-2012 Artist-in-Residence. 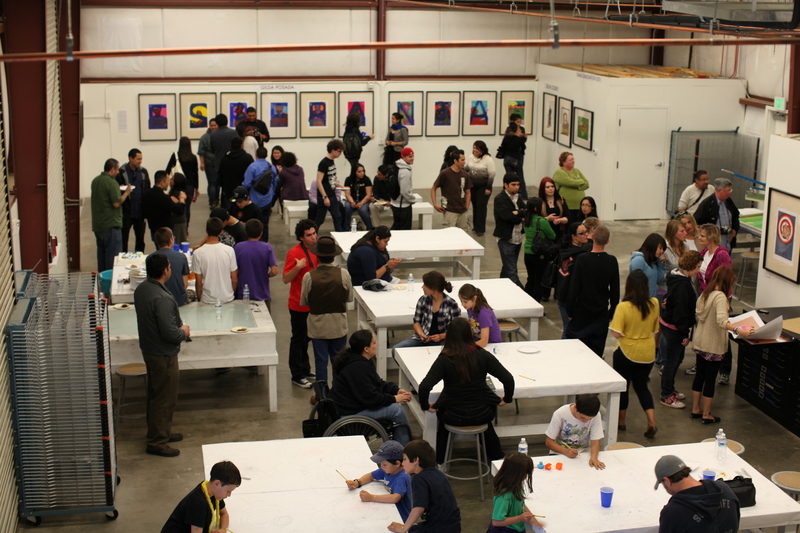 The Fall Open House will be an opportunity for community members and youth who have participated in TANA’s Fall Silkscreen Printing workshop to display their artwork for family, friends, and visitors. 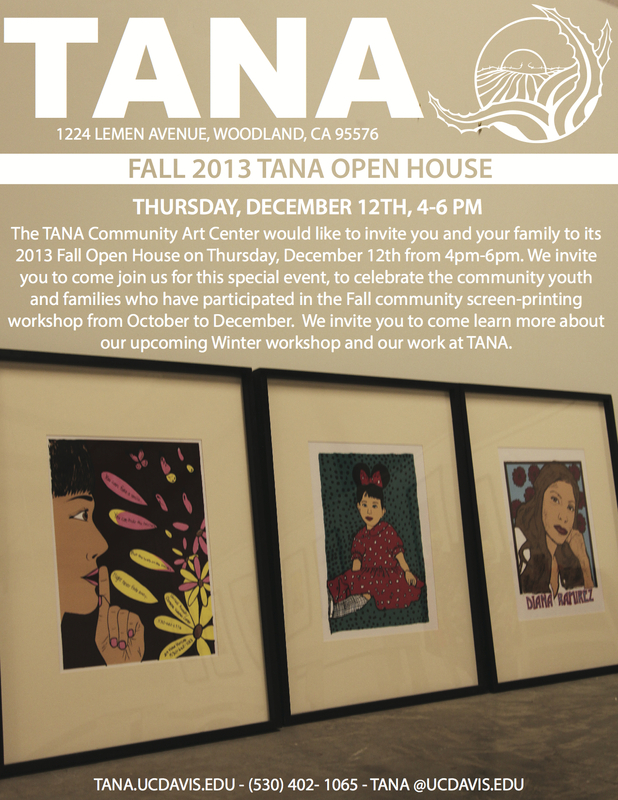 The Fall Open House is also an opportunity for anyone in treated in TANA to see the workshop and some of the creative works produced during the past three months. 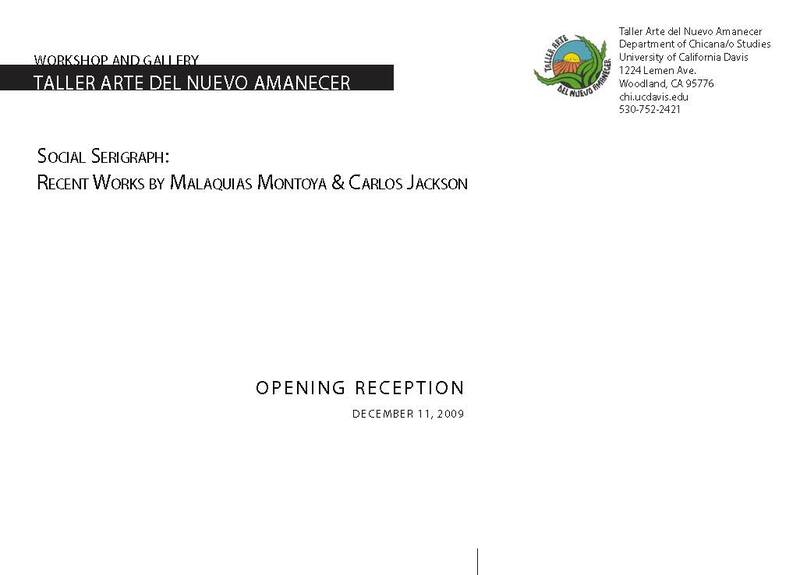 “Jaime Montiel: New Works” is the newest art exhibition at TANA. 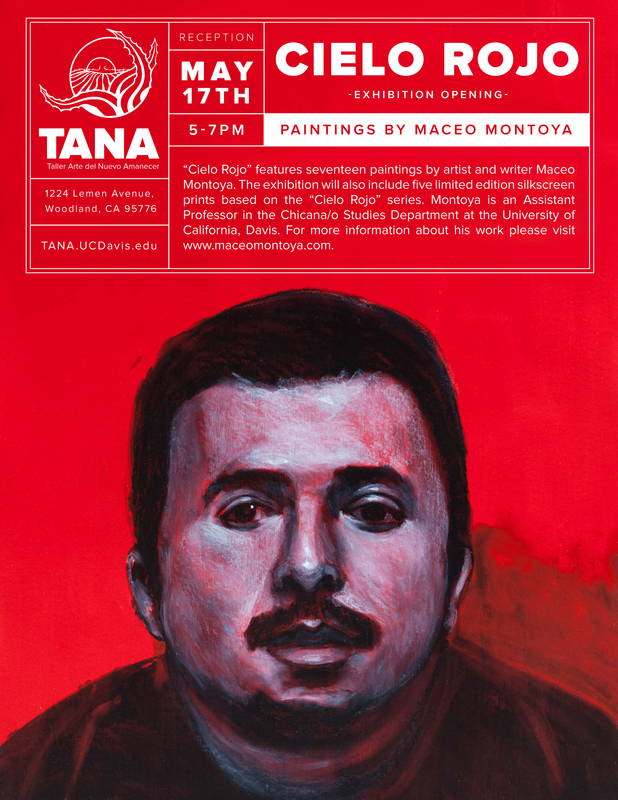 The opening reception for this exhibition will coincide with the TANA Fall Open House. 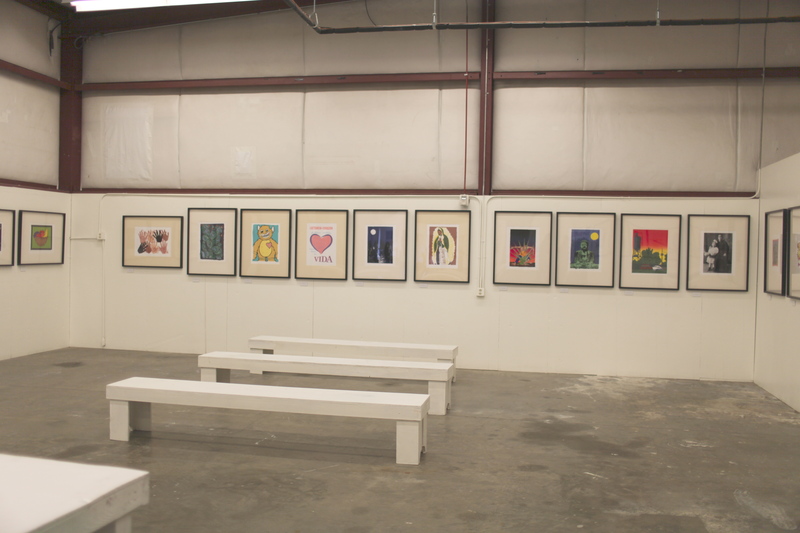 For the past two years Jaime Montiel has served as the TANA Artist-in-Residence by developing special art projects and helping to instruct the youth and residents who have participated in the quarterly community silkscreen workshops. 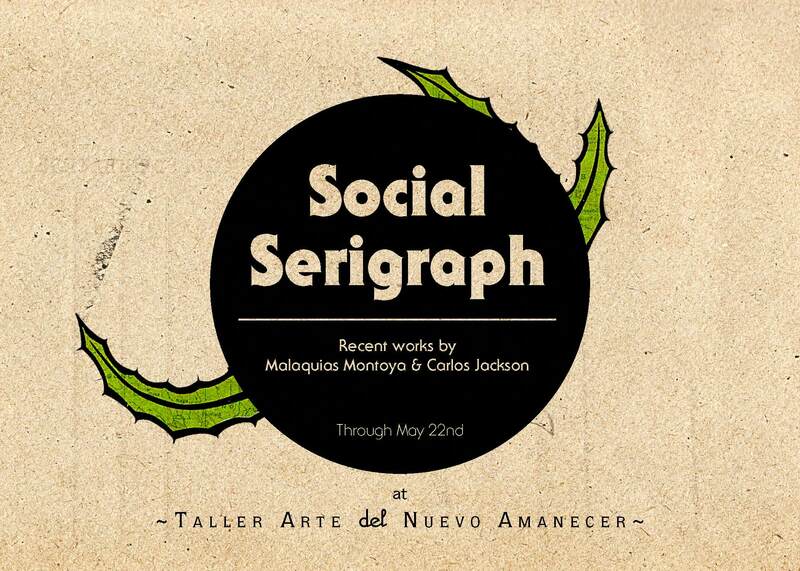 Jaime Montiel will be exhibiting new paintings and silkscreen prints. 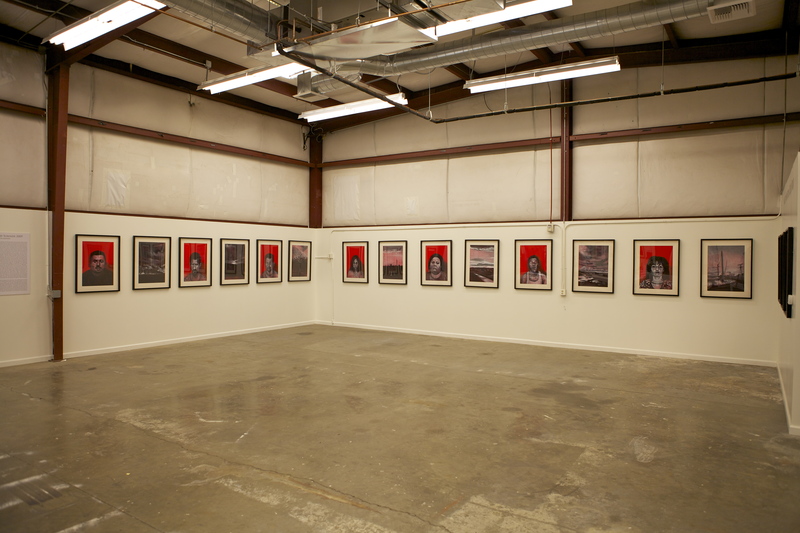 He was raised in Winters, California where he currently resides and manages his studio. 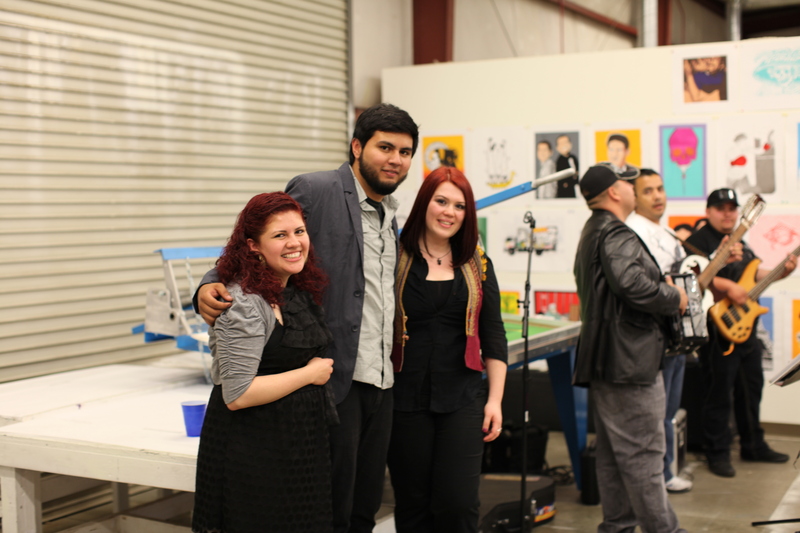 Jaime Montiel attended UC Davis where he attained his B.A. 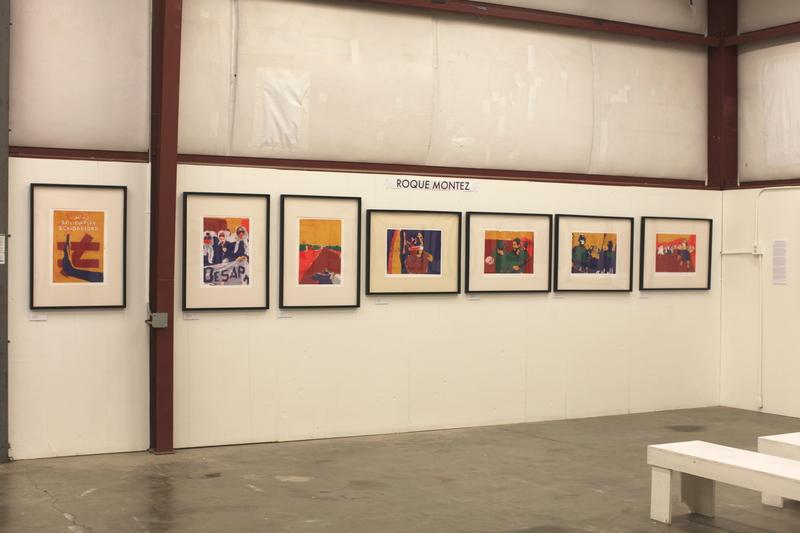 in Studio Art and the Savannah College of Art and Design where he attained his M.F.A. in Painting. 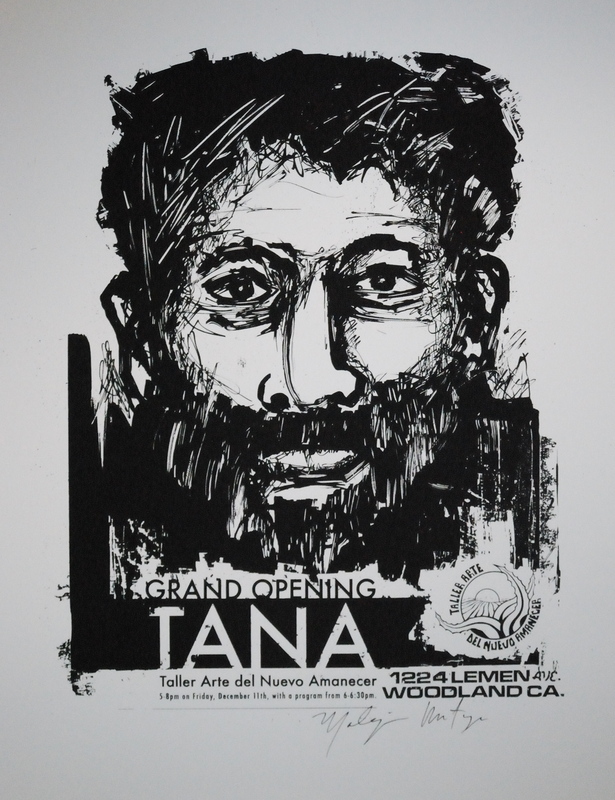 Please join TANA on Saturday December 3rd to celebrate the work of the community youth who participated in the Fall Silkscreen Workshop and of Jaime Montiel who has been serving TANA and the community for the past two years. 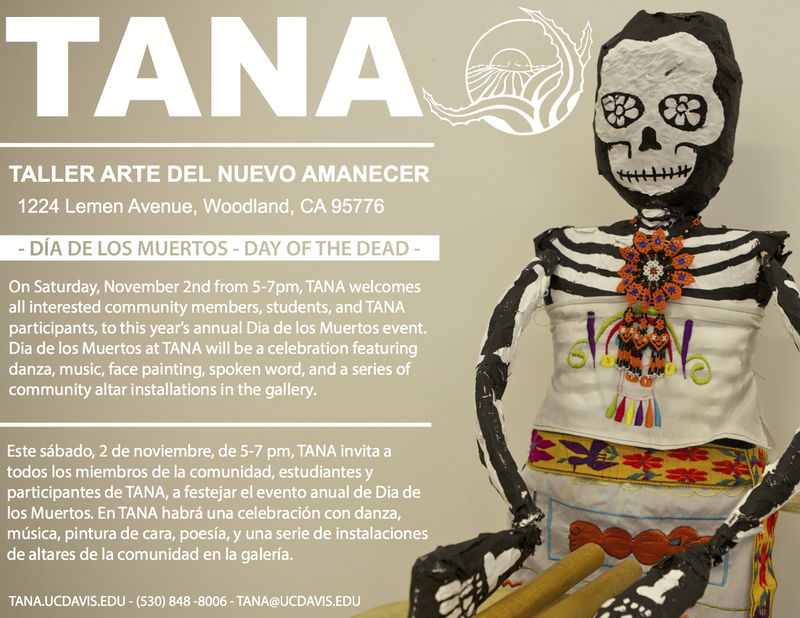 TANA is pleased to announce the upcoming Dia de los Muertos celebration at Taller Arte del Nuevo Amanecer (TANA). 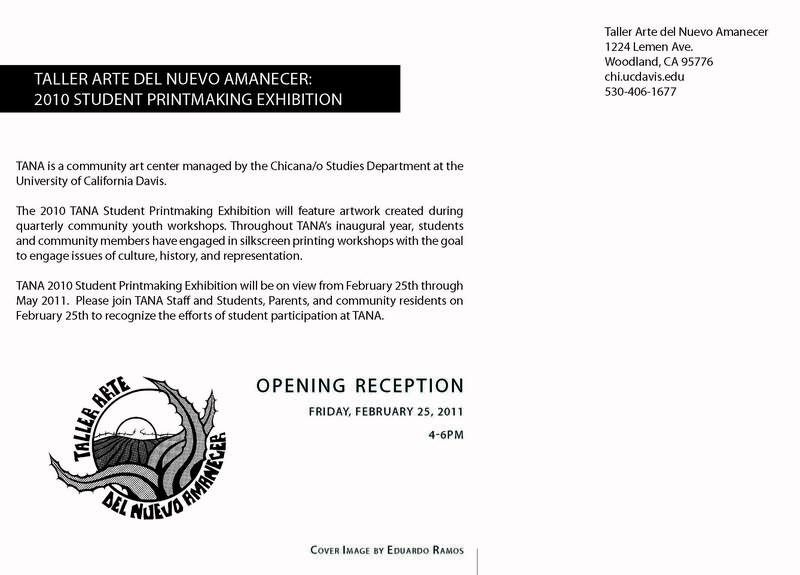 Taller Arte del Nuevo Amanecer (TANA) is a community art center located in Woodland and managed by the Chicana/o Studies Department at UC Davis. 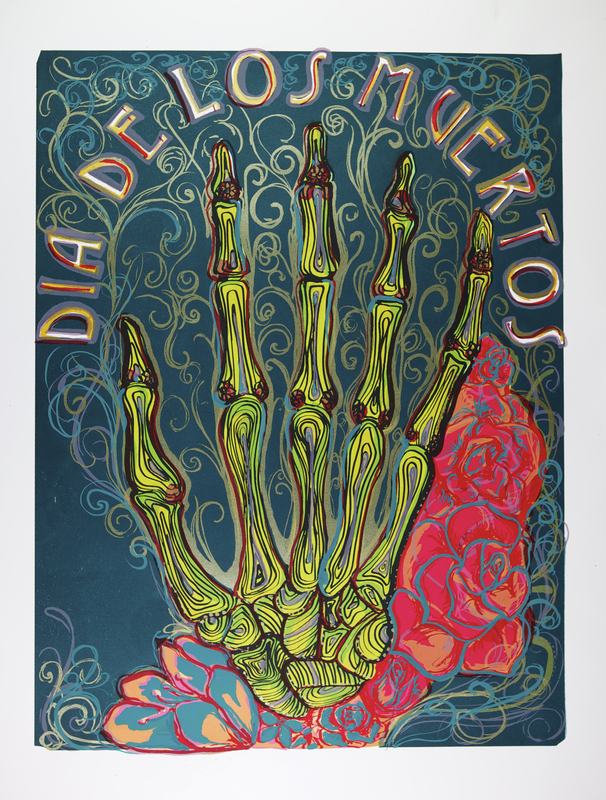 This year TANA will be celebrating Dia de los Muertos featuring over 10 altars created by over 15 altar makers. 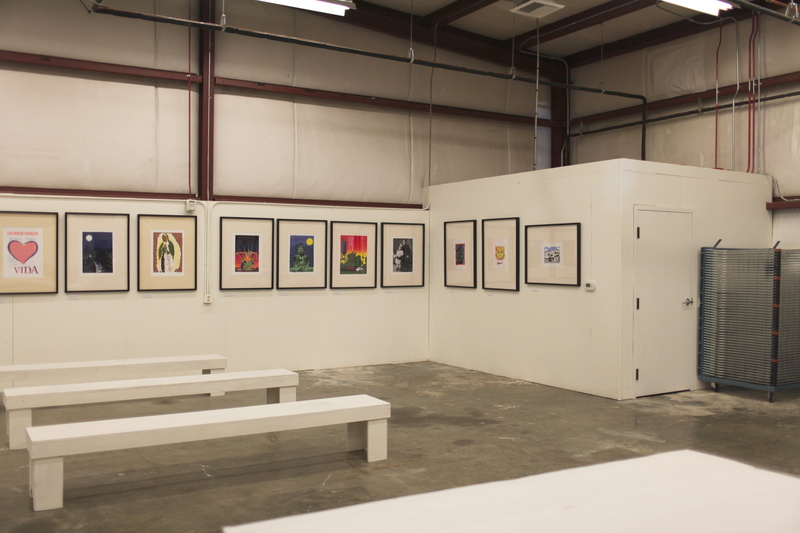 These altars are presented by local community members and this Wednesday, November 2nd, there will be a reception featuring spoken word, dance and visual storytelling. Wednesday’s celebration is part of a series of events happening in Woodland at the Woodland Public Library and Woodland Community College. 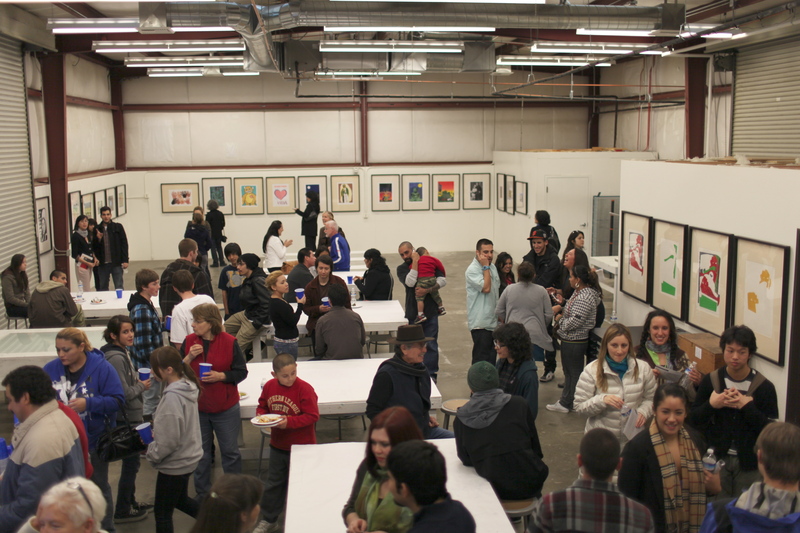 June 4th, 2010: TANA hosted the opening reception for the exhibition titled Mural Drawings: 35 Years of Community Muralism. 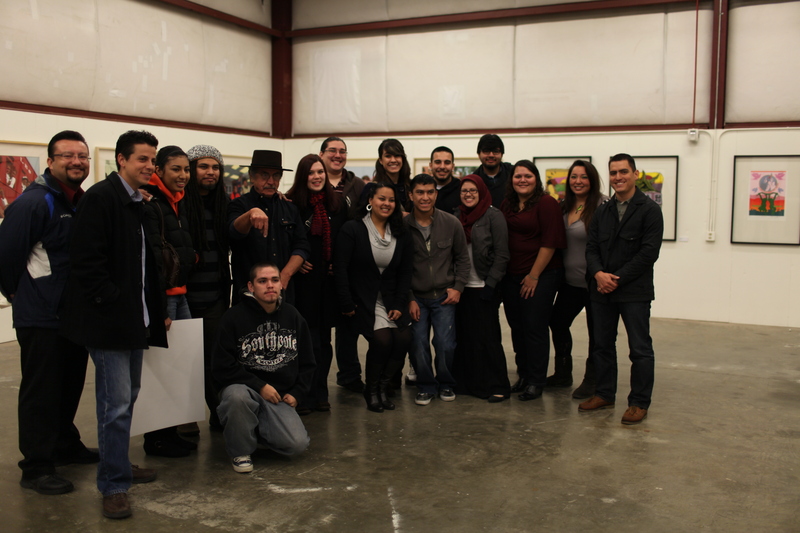 This exhibition featured the final mural preparatory drawings for projects painted through the Chicano Studies Mural Workshop. 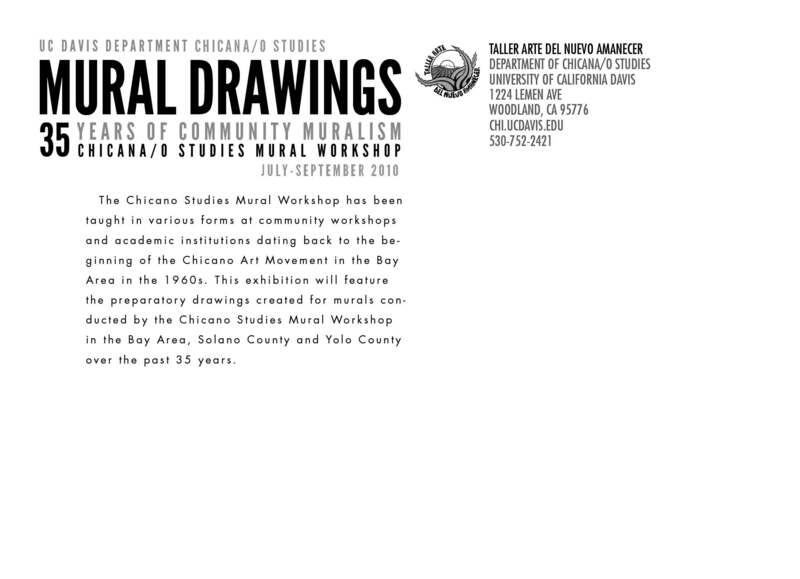 These workshops were led by Professor Malaquias Montoya through courses at the California College of Arts and Crafts or at the Chicana/o Studies Department at UC Davis. 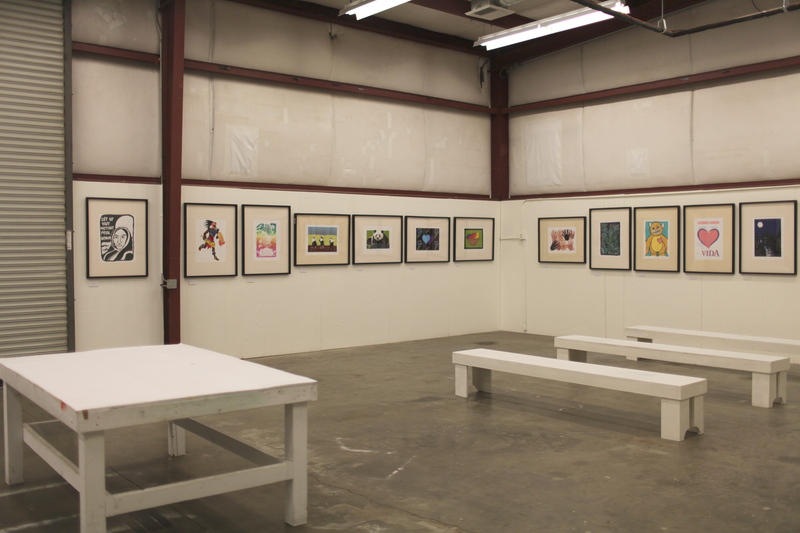 Murals featured in this exhibition ranged from community centers, schools, and neighborhood spaces throughout the Bay Area, Solano County, and Yolo County. 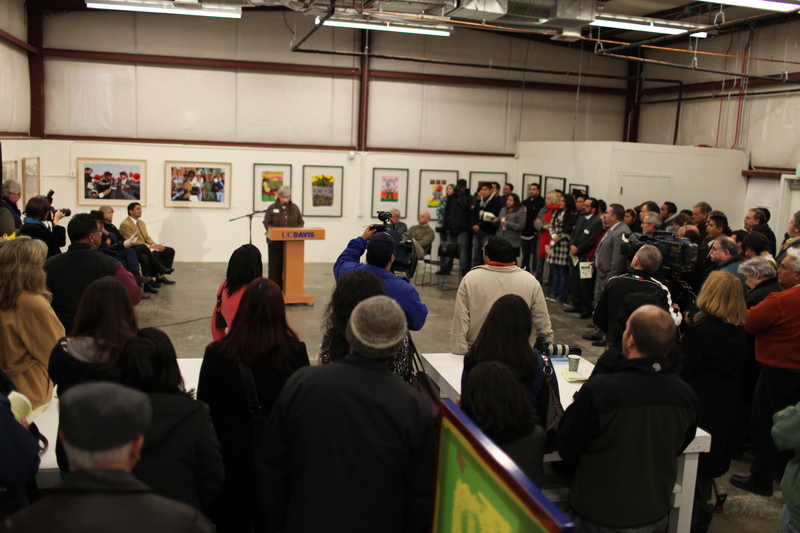 This opening reception also included the unveiling of the 2010 Chicana/o Studies Mural Workshop that featured a mural painted for the Pacific Coast Producers Tomato Cannery. 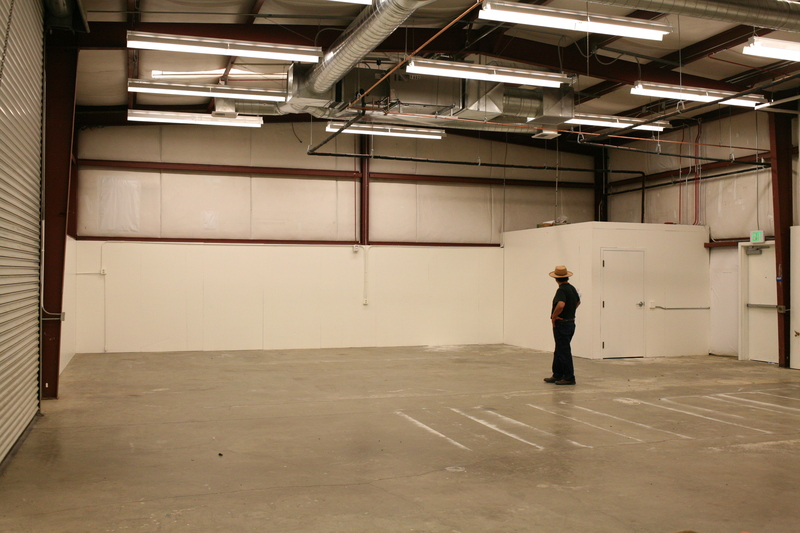 The Pacific Coast Producers facility is half a block from TANA where workers could easily visit and view the mural in progress. 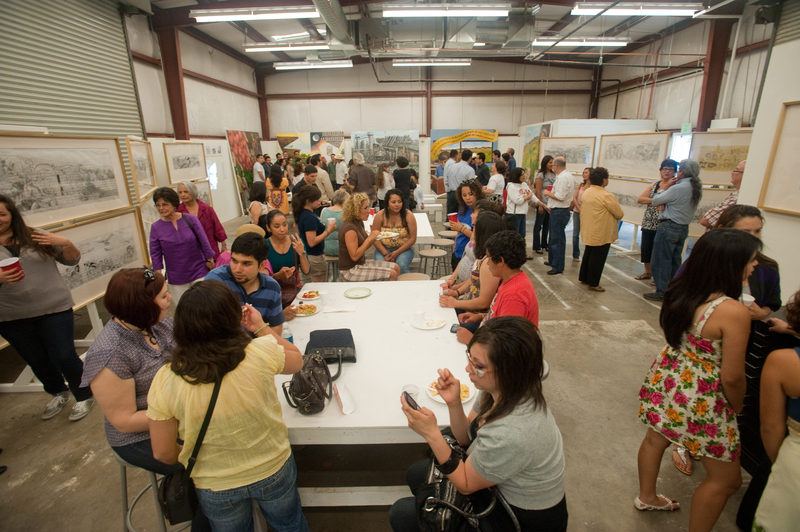 200 attendees visited TANA on June 4th to join in the Spring celebration of the exhibition and mural unveiling. 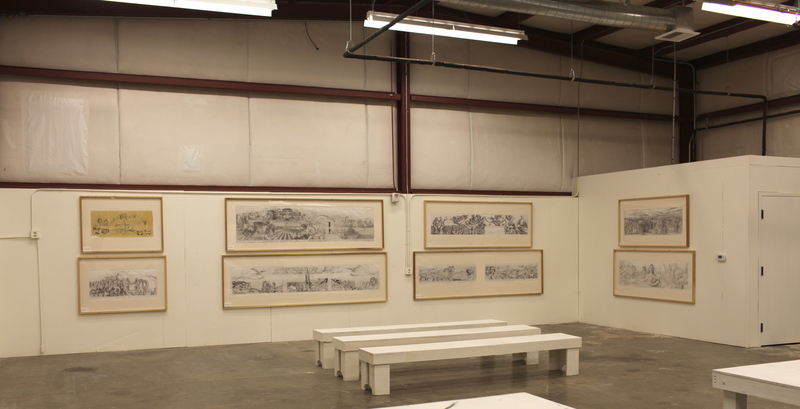 Below are some images from the opening and of the drawings featured in the exhibition.